We offer 3D printing to eliminate the need for tool production and, therefore, the costs, lead times and labour associated with it. You want to reduce the downtime of your machine and in search of an urgent solution? Many OEM's do not offer plastic moulded parts for maintenance. 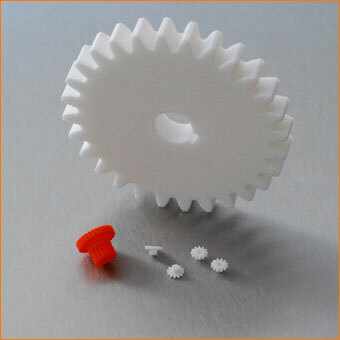 You need a transmission part for your prototyping project? Any application at your company or home is broken and is in need of motion. A possible solution is 3D printing. Send your inquiry and we will translate it into a 3D proposal. No component is too complex. We can offer all transmission parts and, if needed, add complex features.